Investing.com – The dollar edged higher against a basket of the other major currencies on Monday, holding close to Friday’s 10-week highs as investors around the globe remained cautious, while the euro slipped following weekend elections in Germany. 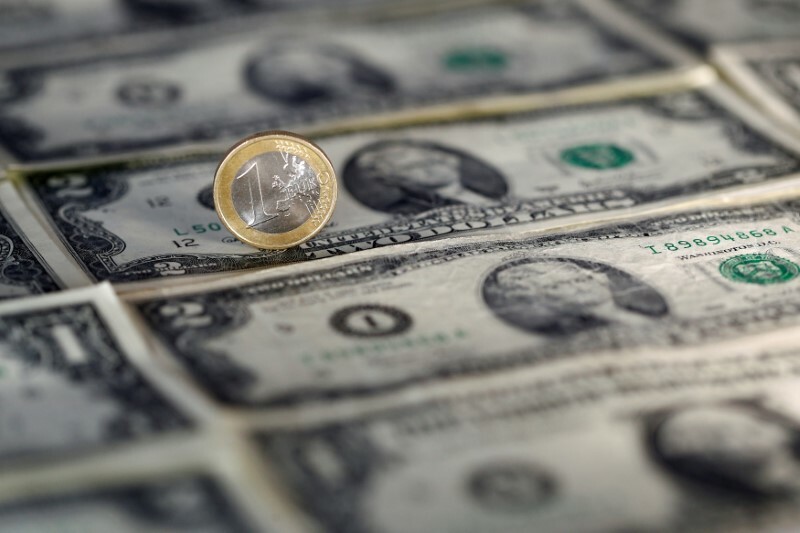 The , which measures the greenback’s strength against a basket of six major currencies, edged up 0.14% to 96.26 by 04:37 AM ET (08:37 AM GMT), not far from the 10 –week high of 96.62 set on Friday. Demand for the dollar continued to be underpinned after data on Friday showing that in the third quarter. Market sentiment remained fragile amid concerns over a slew of economic and geopolitical issues. Fears over the health of the global economy, rising U.S. interest rates, global trade wars, Italy’s budget row and Brexit, along with some disappointing corporate results have contributed to an atmosphere of mounting risk aversion, but despite the falls in stock markets moves in foreign exchange markets remained modest. The euro was a touch lower, with down 0.1% to 1.1390 following a setback for German Chancellor Angela Merkel’s coalition government in regional elections on Sunday. The dollar was steady against the yen, with changing hands at 111.96. The pound was lower against the greenback, with off 0.13% at 1.2812 as investors awaited the from British Chancellor Philip Hammond. Sterling was flat against the euro, with at 0.8888.